Bald and with a long red beard, Landru was an unlikely Bluebeard but he had something about him that attracted women. When he failed as a businessman (he was a building contractor, bicycle manufacturer and furniture remover) and as a petty crook (he spent seven terms in jail in 12 years for trifling offences such as the theft of a bicycle) he decided to capitalize on his other talent — seducing women. In 1909 Landru began to romance elderly widows, holding out the promise of marriage, but when he had access to their bank accounts, he took their money and disappeared. When he became tired of fraud, having duped hundreds of lonely women (one, Madame Izoret, he took for 15,000 francs), he turned his hand to murder. He placed an advertisement in several newspapers, presenting himself as “a widower with a comfortable income and an affectionate nature”. He was inundated with replies and details of the most interesting candidates he recorded in a notebook. 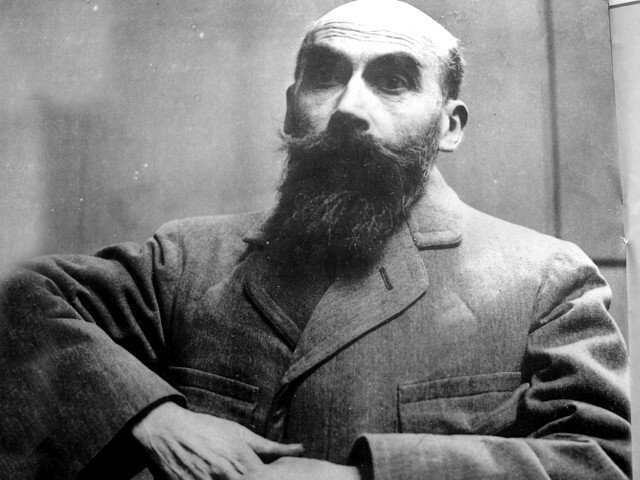 In December 1914 he rented a villa at Vernouillet where he murdered four women. In December 1915 he rented the secluded Villa Ermitage in Gambais, a village southwest of Paris, to woo his victims. Between 1915 and 1919 he murdered 11 women. The first to die there was Madame Heon on 8 December 1915. The last victim was 36-year-old Marie-Therese Marchadier who disappeared on 15 January 1919. Relatives of the dead women began making enquiries to the mayor of Gambais and the trained to Landru. Despite his prodigious use of aliases, he was arrested on his 50th birthday in 1919. The police found notebooks containing details of 283 women. Further examination of his villa revealed bones in the ashes of the oven and what appeared to be blood on a mattress. Closer examination showed them to be animal bones and sheep’s blood. The police concentrated on the 283 names in the notebooks and began tracking down the women. Most were found and most confessed to having slept with Landru before he conned them. Eleven names were unaccounted for but the police could find no trace of their bodies. Landru went on trial on 7 November 1921 and was found guilty of 11 murders on 30 November. Protesting his innocence, he was guillotined at Versailles on 25 February 1922.